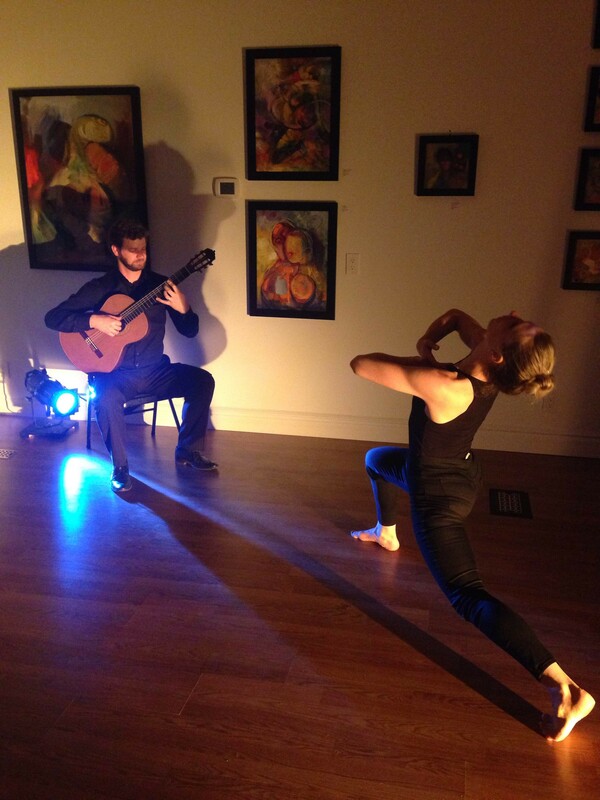 Alexandra Bradshaw & Jon Yerby’s 7&1: A Guitar and Dance Performance Event took place this past Friday at Art 270, a gallery in downtown SLC run by artist Terence Stephens. Bradshaw performs with Ririe-Woodbury Dance Company and Yerby is an established performer and teacher of classical guitar. This performance was the first time the husband-and-wife duo have combined their crafts. Amid walls of artwork and a full audience, Bradshaw and Yerby took their places opposite each other, lit by just two shin lights. Though the gallery space is fairly small when chairs are set up, Bradshaw’s expansive movement utilized the space to its fullest potential. She cut deep lunges and full contractions with casual bourrees and moments of stillness. Bradshaw has a strong elegance about her, visible even in moments such as when she pushed a chair backwards with her feet while in a handstand. Art 270 Gallery is located at 270 South Main Street in Salt Lake City. I enjoy Amy Falls’ writing on dance very much. As a dancer herself, she knows what is there to be seen and how to point it out for us. I was able to visualize the performance accurately through her exacting description, which is the first and most important task of the critic. 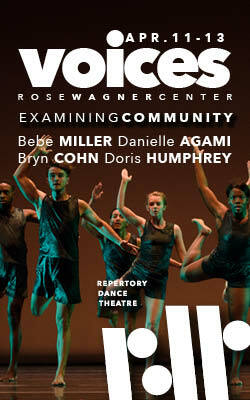 Yet if I may venture one critic’s preference, when a dancer leaves a performance space, normally nothing is left behind. The sensations she creates are real, but they are in the viewer’s mind and body, not on the floor. And that is where they will stay, if both the dancer and the witness do their jobs right.